Yarn and Fiber Happenings: Prism Galaxy Brightens Up Your Fibering for the New Year! Prism Galaxy Brightens Up Your Fibering for the New Year! Happy New Year from The Yarn and Fiber Company! 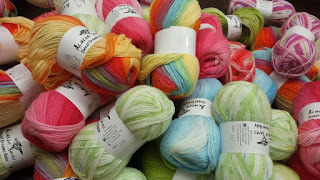 New colors (and a restock of the existing colors) have arrived from BerrocoYarns for their wonderful Ultra Alpaca line!!!! 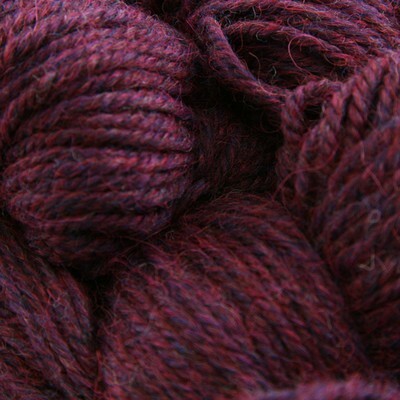 Gorgeous colors of Ultra Alpaca await your fibering needs! Ultra Alpaca Yarn is the ideal balance of luxurious 50% Super Fine Alpaca and 50% Peruvian Highland wool blended together and spun up perfectly round and light. There are many irresistible shades which include solid shades, natural heather shades and the irresistible jewels of the collection, dyed heather shades. Each is beautiful on its own or combined in endless possible color work combinations. This yarn has amazing drape, warmth and is a favorite of many! Try some today and be hooked! Something new for the New Year! 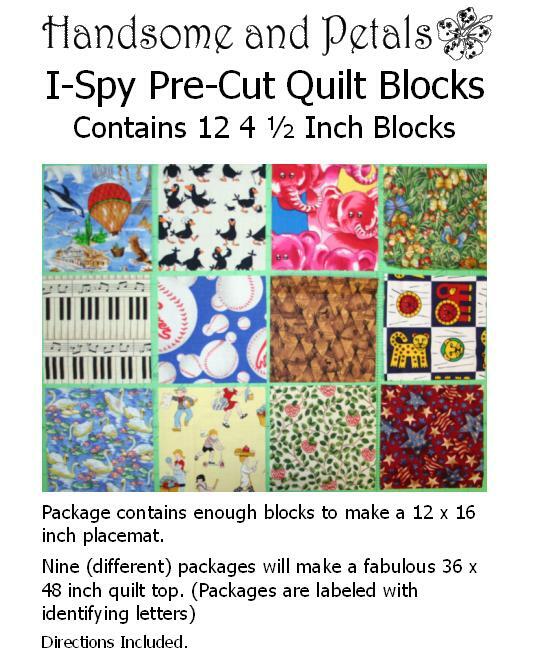 Now available at The Yarn and Fiber Company, Handsome and Petals I-Spy Quilt Block Kits for embracing learning opportunities with your child through creating this great learning tool. Colorful blocks contain visual aids for counting, spelling, color and animal identification, etc. The options are endless! I-Spy Quilts and Placemats are a great learning tool you can use with your child. Can you find a named object (cat, dog, house etc)? Find a square that is red (blue, yellow etc)? 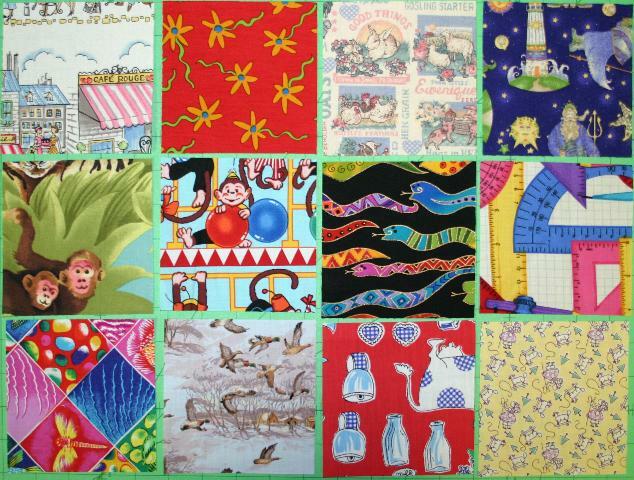 These quilts use well over 100 fabrics. We have selected 12 unique prints in each kit and pre-cut them into 4 1/2 inch blocks. All you need to do is sew them together to make your very own I-Spy Quilt. One package contains enough blocks to make a 12 x 16 inch placemat. Nine (different) packages will make a fabulous 36 x 48 inch quilt top. Each individual package set are labeled with identifying letters so you can easily avoid duplicating your blocks. Directions are included. Fabrics are 100% cotton quilting fabric and wash and dry easily, making them perfect for use in the home, school or on the go! New colorways of Prism Galaxy have arrived to brighten up your fibering! This beautiful ribbon yarns is available in over 50 colorways! 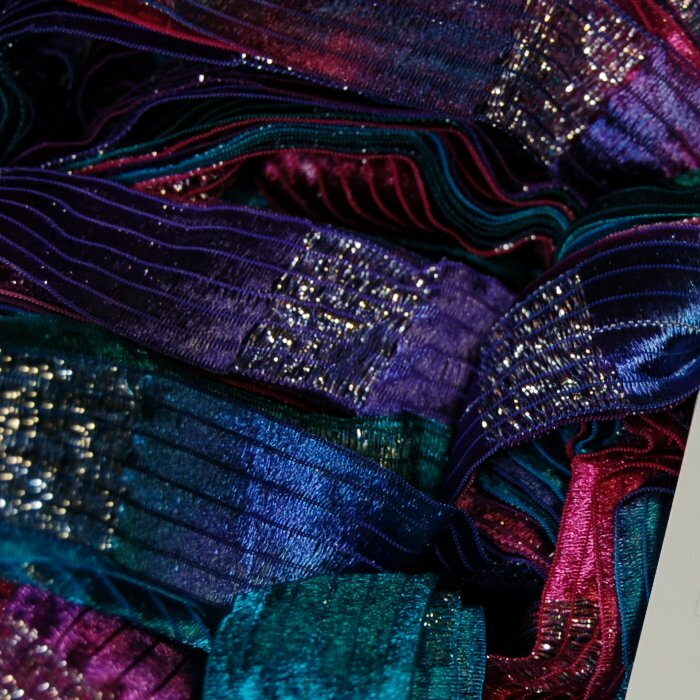 Prism Galaxy Ribbon is a beautiful luxury ribbon that is a blend of 95% Nylon and 5% Metallic Polyester and comes in hanks of 54 yards. Galaxy knits to a gauge of 2.5 sts per inch on a US 15 needle, or 2 sts per inch on a US 19 needle. Need a pattern? Try the Lancaster Scarf pattern. Fabulous and stylish, quick and easy to knit, this garter stitch scarf is made from Prism Galaxy and Manhattan Ribbons and knits up easily on size 17 needles. The Lancaster Scarf requires the following materials, 1 Skein Prism Galaxy Yarn and 1 Skein of Prism Manhattan Yarn, Knitting Needles Size US 17 (12.5 mm) and a crochet hook to attach trim. Finished Size for the Lancaster Scarf is approximately 66 x 5 inches (170 x 12 cm). Prism Manhattan Yarn is used on the neck of this fabulous scarf for softness and drape. Manhattan yarn is a favorite here at The Yarn and Fiber Company. A beautiful spliced yarn that moves from matte cotton to shiny nylon to shiny rayon to matte nylon in random stripes, Manhattan's effect is gloriously subtle and syncopated. Sure, there are stripes--but they are irregular and broken into random lengths. The play of matte versus shine is really spectacular! Looking for a fun scarf to make out of Prism Manhattan Yarn? 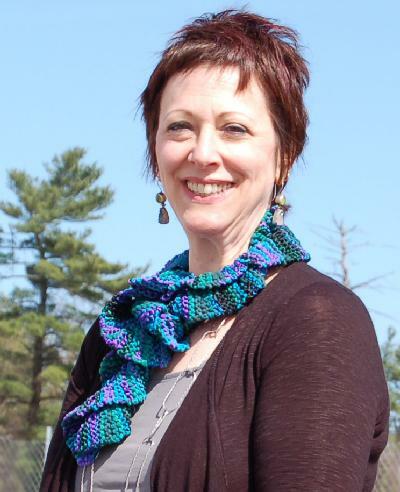 Check out the Ruffled Manhattan Scarf Pattern which is bright and cheerful, quick to knit and fun to wear. This ruffled scarf is made from two skeins Prism Manhattan yarn and knits up quickly on size 11 needles. Pattern is available on The Yarn and Fiber Website as a free PDF download. Enjoy! 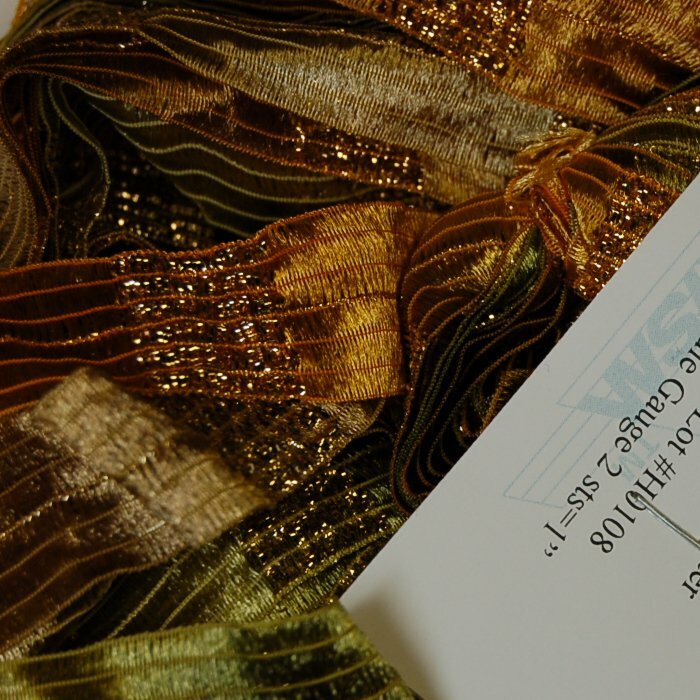 The Yarn and Fiber Company wishes you a Happy New Year with Free Shipping through January 1, 2013. Enter FREESH12 in the coupon code section at checkout and enjoy free shipping on your orders over $15. Also, join our Ravelry group - Friends of The Yarn and Fiber - to be kept up to date on new events, swaps and other fun store happenings! Happy New Year and Happy Fibering!